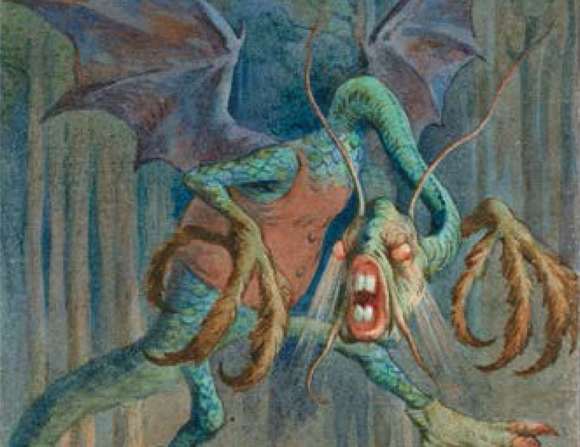 Lewis Carroll's playful nonsense poem 'Jabberwocky', for April Fool's Day. A poem for April Fool's Day from A Poem for Every Night of the Year, a beautiful collection of 366 poems compiled by Allie Esiri, one to share on every night of the year. Lewis Carroll first started writing the nonsense poem 'Jabberwocky' a decade before Alice's Adventures in Wonderland was published. He included the finished version in the sequel, Through the Looking-Glass and What Alice Found There. If the poem whets your appetite for more of Carroll's writing, have a look at the stunning Macmillan Children's Books edition of The Complete Alice, including dreamlike full-colour illustrations, colour versions of Sir John Tenniel's originals, by celebrated artist Harry Theaker, under the direction of Tenniel himself.